SALLY: What did you do yesterday? JOHN: Well, I was at home most of the day, but then I had to go into work in the afternoon. I was in a meeting for about two hours, but I didn’t mind because now I’m on holiday. When we are talking about being somewhere, there are different prepositions we can use, and it can be hard to remember which one is the right one to use. For native speakers, we just know this sort of stuff, but for English learners, you have to try to remember it. Today, I’m going to share some ideas to help you learn prepositions effectively. The first and most important piece of advice I will give you today is to learn prepositions by looking at whole sentences. This may sound obvious to some of you, but so many students don’t learn this way. It is more common to learn lists of words. He is knowledgeable of science. He is knowledgeable with science. He is knowledgeable about science. As you can see, only the last sentence is correct. “Knowledgeable” collocates with “about” but not other prepositions. If you learned this word alone, you may try to put it into a sentence and make a mistake. 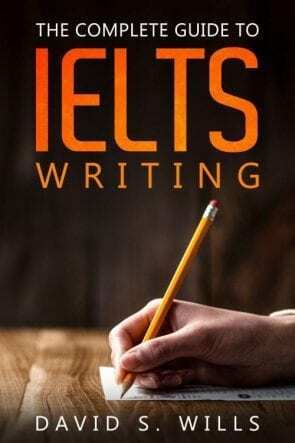 Mistakes are fine, but for the IELTS exam, you really need to avoid them if you want to score band 7 or higher. If you learned the word in isolation, then you should consult a dictionary or check Google for some authentic examples of how it can be used. This is what you would find in the dictionary. As you can see, this dictionary lists recent examples that can help us to correctly use the word “knowledgeable”. So how exactly do you go about learning prepositions in whole sentences? Well, the best way is to read a lot and make notes. I recommend that my students read at least one or two articles each day, and hopefully much more than that. If you really want to get better at English, you must do continual practice. Don’t just learn from textbooks because that is not always natural English, and sometimes they can be a bit boring. When you read (whether articles, blog posts, novels, or anything else), you should pay attention to the language and make notes when you find something interesting. Read a page of writing. Find collocations you didn’t know. Write these in your notebook. This idea is quite different from the last one, and may seem a little contradictory at first. It involves making a notebook (or part of a notebook) just for prepositions. What you will do is write a preposition at the top of a page, and then list its possible uses underneath. You don’t need to list everything, but you can write down any that you find when reading articles, and which you want to remember later. This can be helpful in terms of studying because you note them down and then review them later. Although it sounds very different to my first suggestion, you can easily use these together. I don’t recommend searching a dictionary for different uses of the word “on”, for example. But it is a good idea to have an “on” page and to list collocations here whenever you find them. This will trigger your brain to remember the whole collocations more effectively. Similar to the second idea above, you can also make a notebook for learning prepositions according to different situations. If you do want to have a whole page of sentences using “on” or “about”, then perhaps you might find it more helpful to have pages about different situations. Take, for example, the situation of Talking About Time. I’ll go fishing in July. I’ll go fishing on Monday. I’ll go fishing at six o’clock. It’s crazy, right? Three different prepositions for stating time! English can be very annoying. If you ask, “Why?” you will not find an answer. It’s just something you need to remember. Writing these sorts of things in a notebook will help you to make sense of them, and to remember them. My final tip is to use your imagination. Studies have shown that the best way to remember something is to make mental associations by visualization a word or idea. In fact, the more unusual the visualization, the better you will remember the word or idea! So how can this apply to learning prepositions? I don’t know, but when my students ask me this question, I tell them that your car is like your house. You don’t get on your house; you go in. When you are in your car, it is your own space, and so you feel safe and secure in it. If you can commit this image to your mind, it will help you remember the distinction between the two. It might also help to think about the history of buses. Nowadays a bus is enclosed like a car, but in the past it was open, and so you would have climbed on it. Ok, finally, here’s a little test for you. See if you can fill in the blanks in these sentences. I’ll post the answers in the comment section. No cheating! I’m excited _________ going to the park this weekend. We agree ________ most things, but we still fall out sometimes. This movie is based ________ a popular novel from 1967. I’ve been quite bored ________ my job lately. What are you worried ________? It’ll be fine. I insist _____ paying for dinner tonight. You got it last time. You’ll find the file attached ______ this e-mail. She was deeply ashamed _______ what she did. I don’t approve _____ you acting like that around my kids. Are you interested ______ board games? Thank you so much for your hard work, David. I will share it with my students. Thanks, Peter. I hope it is useful for them. Why do we say “on” for buses but “in” for cars? The simple rule to remember is that if we can stand up in a vehicle, we say ON and if we can only sit we say IN. This also works for bikes and horses where it is possible to move to a standing position.